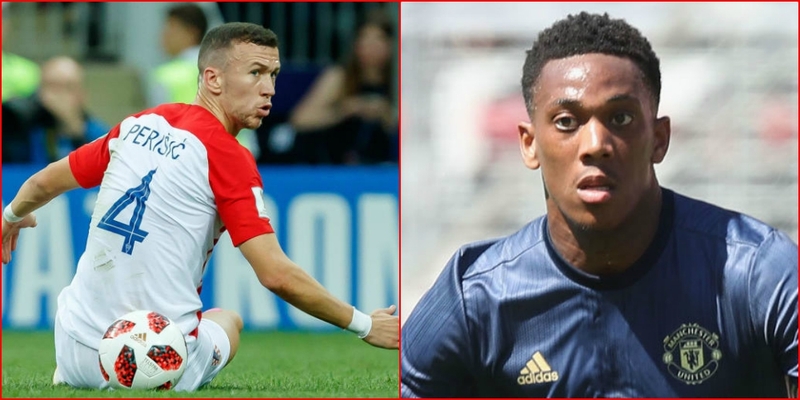 Jose Mourinho is eager to bring in a replacement for Anthony Martial before letting him leave and Inter Milan’s Ivan Perisic is reportedly our key target. According to David McDonnell in the Mirror, the Croatia international is valued at £60 million, while United will demand £70 million for Martial and will only let him move to a club outside the Premier League. Perisic, 29, has been a target for United the past year. We were heavily linked with him last summer and The Times’ Paul Hirst made claims the winger wanted a move to Old Trafford. It should come as no surprise that these stories resurfaced following an impressive World Cup and the likelihood of Martial moving before the transfer window shuts. According to McDonnell, Martial will be allowed to leave, with Bayern Munich, Chelsea and Tottenham Hotspur having shown interest. While United fans will be disappointed to see Martial depart, Perisic is a fine player. He should offer consistency – something Martial has yet to add to his game – but there is no getting away from the fact United are prioritising a short-term strategy. This deal doesn’t appear to have long-term benefits.